This kind of cooking is described as one that adheres to ‘Sattvic' principles. “The concept of Sattvic food dwells on Lord Krishna's message in the Bhagwad Gita. It is a combination of natural ingredients like grains, vegetables and milk, which nourish the soul and body. It goes beyond vegetarianism. As the masalas are basic and freshly ground, there's a feel-good factor and one doesn't feel heavy at the end of the meal,” explains Chitranga Chaitanya Das, head of the temple's Prasadam department. 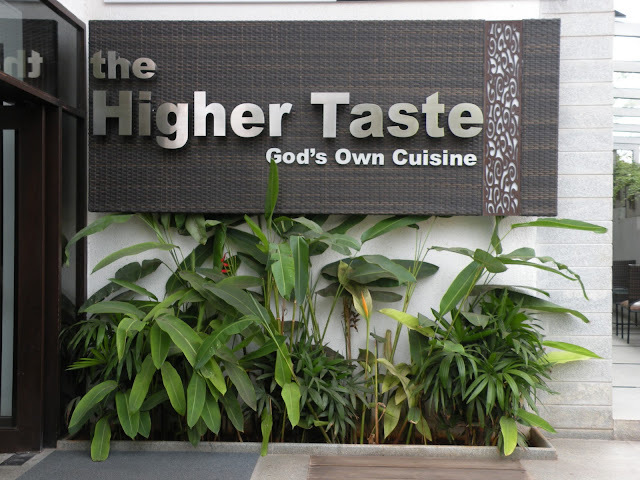 With the tagline God's Own Cuisine, the restaurant, which turned one last month, is set to open a branch in south Bangalore following popular demand from foodies. Though still in its infancy, Higher Taste has contributed 20 per cent to the overall sales of the temple's food counters. 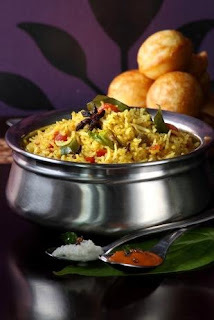 After the ISKCON temple was established in Bangalore in 1997, a bakery and cafeteria sprung up on the premises that sold south Indian staples like lemon rice, puliyogere and dosas to devotees. With time, exotic namkeens and mithai were added to the offerings. Meanwhile, the temple's core team felt the need for an exclusive platform to showcase the gastronomic expertise that is one of the hallmarks of the ISKCON movement. “Swami Prabhupada, our founder, felt that eating prasadam is part of the spiritual process and the teachings of Lord Krishna in the Bhagwad Gita highlight the significance of offering food to the God, which is why Prabhupada referred to it as Kitchen Religion,” says Das. This was the indicative guideline for the three-member R&D team that was constituted to design a menu that would serve as comfort food, with subtle aromas bursting in the mouth. The team innovated and experimented with food ideas. Instead of hiring kitchen talent from overseas, the core team looked at designing international dishes with a desi twist. 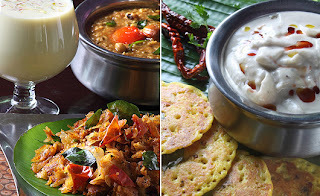 The idea was to distil the essence of Sattvic food while falling back on world cuisine. The platter was filled with Mexican, Greek and Mediterranean delicacies adapted to Vaishnava style of cooking and suited to Sattvic taste buds. For instance, flaxseeds were substituted for eggs while baking fluffy muffins. Likewise, bruschettas and thin-crust pizzas evolved as signature dishes. The buffet spread includes pastas, Chinese noodles and other varieties of world cuisine. 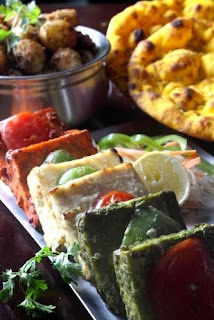 Desi temptations from south and north India constitute the a la carte offerings. The Hyderabadi biryani is garnished with cabbage carrying a hint of asafoetida. According to Das, the flavour mimics onion. Original recipes have been tweaked to add a surprising lip-smacking factor, such as the bharwan Jodhpuri or arisi paruppu saatham or even the paan ice-cream. Their task was made easier by the fact that similar experiments were already on at ISKCON's fine-dining restaurant Govindas in the US. “Though the vision is similar, for the first time the menu is categorised as Sattvic food and is being promoted in ISKCON. For a wider appeal, the flagship brand was visualised as The Higher Taste,” says Das. The 100-seater restaurant at the Bangalore temple is open for lunch and dinner. Holy chants in the background and the gentle murmur of a water body add to the restaurant's overall ambience. The F&B team comes up with eclectic dining options ranging from a Rajasthani food festival to Christmas goodies. Food lovers can also look forward to a sit-down meal during such special occasions.